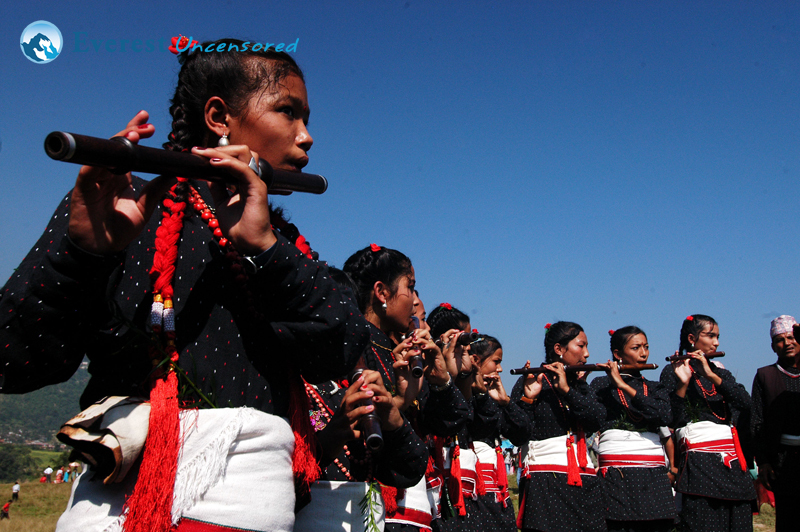 It was taken during my visit to khokana, the girls were practicing flute for a khokana jatra. A small Newari settlement roughly 10 kilometers south of Kathmandu, Nepal. A greater Khokana festival began in Khokana with the objective of preserving the civilization, ethnic identity and cultural fundamentals of Khokana.